Owning at least one pair of quality leather gloves is absolutely essential to every man’s wardrobe. This lovely set by Hestra is made of nubuck-quality leather with hair side polish to a matte finish. 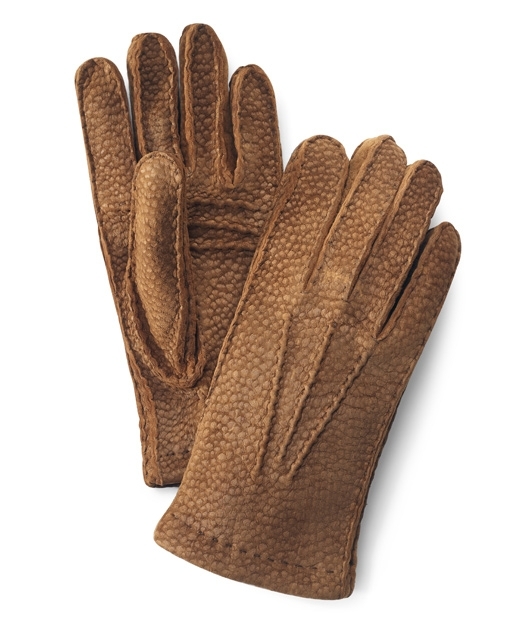 The unique texture of the gloves comes from the peccary hide. Guaranteed to keep your extremities warm in autumn and throughout most winter climates. This entry was posted in Accessories, Misc, Uncategorized and tagged Hestra. Bookmark the permalink.